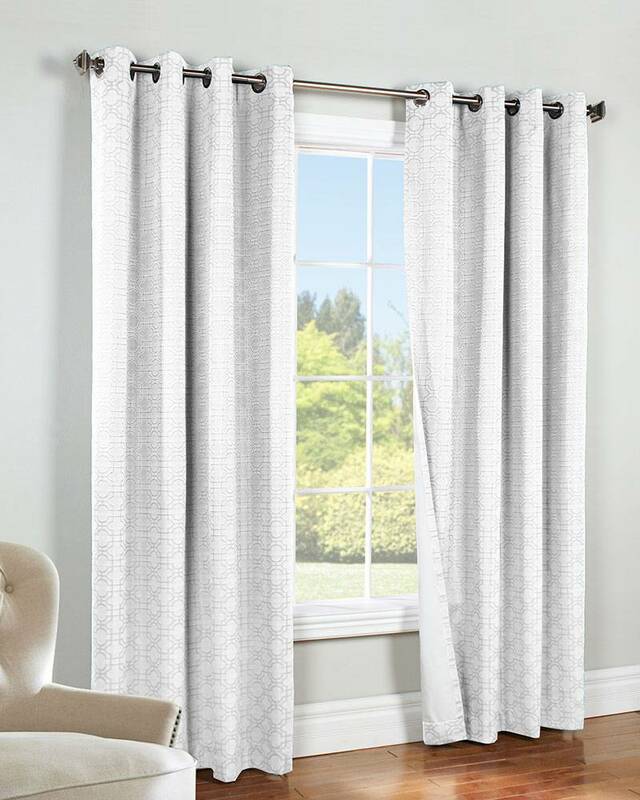 Irongate Insulated Grommet Top Curtain Panels showcase a woven jacquard fabric with a classic geometric tone on tone "iron gate" pattern. 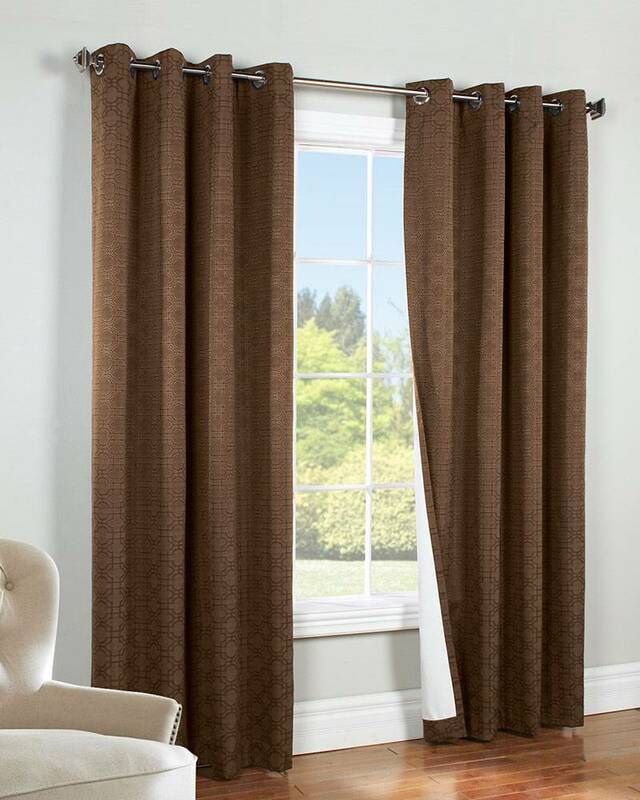 These easy care polyester panels are lined with an Acrylic Suede backing, which makes them very energy efficient, saving on energy costs and making your home more comfortable throughout the seasons. 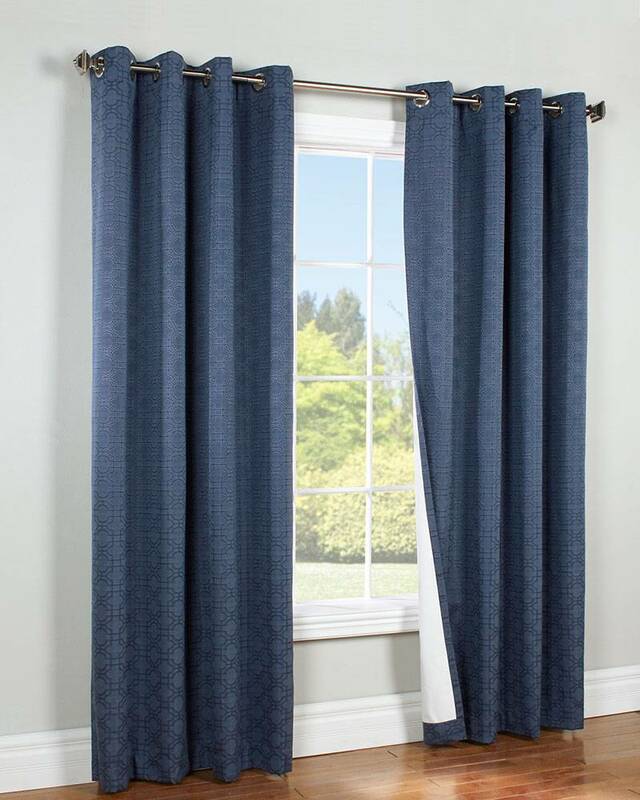 And as an added benefit, they are also a Blackout curtain - perfect for media rooms, home offices, bedrooms, or other rooms where light control is needed. Available in your choice of 3 lengths and 3 colors.